Stars have started to visit the newly opened Flight 23. On its first day, the store already got visits from the likes of Spike Lee and 50 Cent. New York Yankees ace CC Sabathia was also amongst the first to come away with some goods this afternoon. 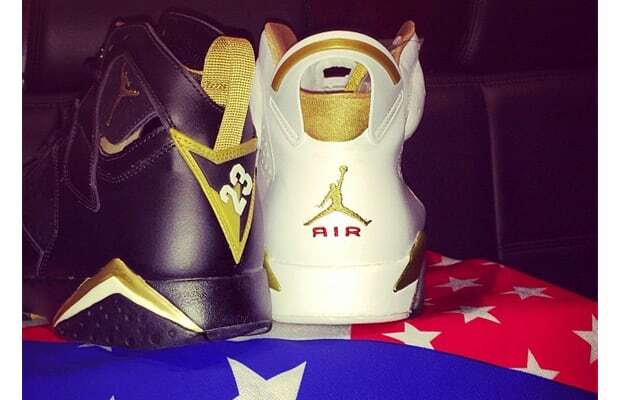 Fresh off his trip from the shop, Sabathia posted his pickups, which were the Air Jordan VI & VII "Golden Moments" Pack, which originally released back in August of 2012. To say that being a Jordan Brand athlete has its perks would be quite an understatement. With Flight 23 now being open, expect this to be the first of many celebrity visits and come ups from NYC&apos;s latest sneaker destination.